Lifelong learning is at the core of what we teach our children - growing and learning something new everyday. At HEI Schools we focus on learning about each child as an individual. With a growing staff, we are asking our HEI Schools team about themselves in the same way as the children. 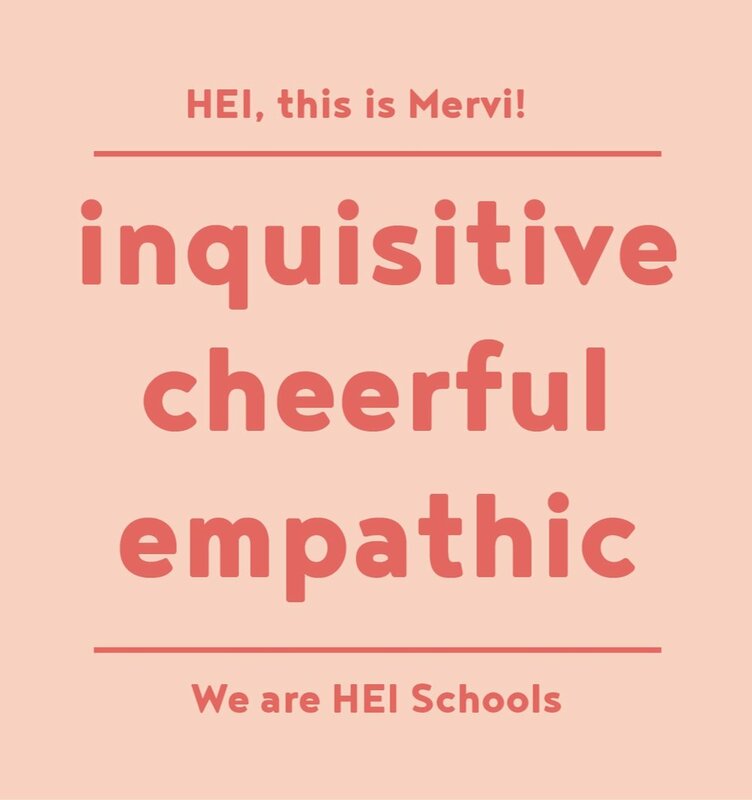 Today we are talking to Mervi Turpeinen is our pedagogical manager Please get to know Mervi! I enjoy the happy and energetic atmosphere. Every time I come to work I’m full of energy. It feels like we are creating something great and big together. I’m also happy to see our HEI Community growing. Spending time with my loved ones and snuggling with my dog named Gucci. After spending nine months away in China as a mentor teacher, now I just love being at home with my family. I’m full of ideas and always excited about trying new things. Having the opportunity to speak in our videos have been super exciting - I feel like my inner actress has awaken. I’m very passionate about my work, and every day is different, so I don’t feel like working at all. I’m a good cook, and also love baking. I could call myself a homemaker. I’m still quite new, so I’m practicing many things. I think one important project at the moment is to get all of the people from HEI Community world wide to the same place and help them to start communicating with each other through our community channel. I’m learning kurdish language, so I can communicate better with my boyfriend’s family. I can already make short sentences! Learning a new language is always super interesting.